Planet Core | Signals.of.the.Phuture - RED 022 Various - Cold Rush Records E.P. 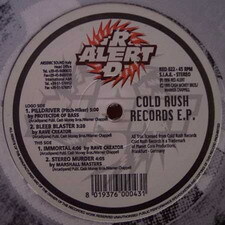 RED 022 Various - Cold Rush Records E.P. [A1] has some typo's. Released on Red Alert.